Contemplating filing for bankruptcy can be a daunting process. So many myths and misconceptions surround the bankruptcy process that it is truly important to understand bankruptcy fact and fiction before either deciding to file or deciding that pursuing the process is not for you. What Will Your Life Look Like After Filing Bankruptcy? One question that individuals frequently become quite preoccupied with is what their life will look like after bankruptcy. Will it be suddenly free of financial care? Will it be characterized by stigma? Or will it feel as if nothing has changed? The answer is that none of these broad assumptions is generally true. The stigma surrounding bankruptcy has faded dramatically in past years. In particular, the fact that the economic downturn hit persons of all income and education levels opened the public's eyes to the fact that everyone can potentially fall on hard economic times at one point or another. As a result, there is truly very little stigma attached to bankruptcy currently throughout the vast majority of America. In addition, it is important to note that bankruptcy both inspires financial relief and financial responsibility. Relief can be found in immediate debt relief, an end to creditor harassment and other substantial financial benefits that accompany filing either Chapter 13 or Chapter 7 bankruptcy. However, bankruptcy filers do acquire some responsibilities after filing for bankruptcy. 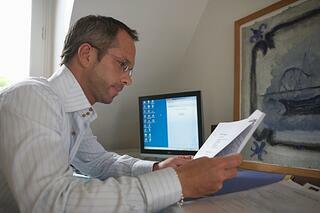 If you file for Chapter 13 bankruptcy, you will be bound by the terms of your repayment plan. If you file for Chapter 13 or Chapter 7, you will be responsible for repairing your credit score over time. Filing for bankruptcy can provide filers with financial relief and a fresh start. What kind of life filers choose to lead as a result of that fresh start is ultimately up to them. For help from a consumer debt attorney contact our offices today. Source: New York Times, "Life After Bankruptcy"